This eighth release of OS X brings us around 250 new features, many of which are inspired by Apple's mobile-device operating system, iOS. Unlike previous versions of Mac OS, it isn't delivered on a disc (though Lion flash drives are due in August, for £55). Instead, it's purchased, downloaded and installed from the Mac App Store. The App Store was introduced with OS X 10.6.6, so if you're running Leopard or earlier on a Mac that's capable of running Lion, you must install Snow Leopard before upgrading to the latest version of the operating system. But as Snow Leopard only cost £25 and Lion is a penny shy of £21, their combined price is less than half the usual going rate for a Mac OS. 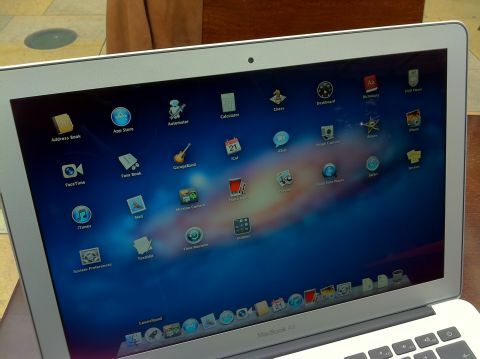 To run Lion, you must have an Intel Mac with a Core 2 Duo, Core-i series or Xeon processor. The new operating system won't run on PowerPC Macs, or very early Intel models with Core Duo chips. You also need 2GB of RAM, where its predecessor only demanded 1GB. Thankfully, upgrading your computer's memory is a fairly painless task, and as long as you buy from a third-party vendor instead of Apple, it's relatively inexpensive too. Lion drops support for Rosetta, the dynamic translator used to run applications written for PowerPC processors on Intel machines. This means a Mac running Lion can't run PowerPC applications, so before you install, check whether any of your must-have apps are PPC.